Stainless Pineapple Slicer Peeler Kitchen Tool Only $3.42! Ships FREE! You are here: Home / Great Deals / Stainless Pineapple Slicer Peeler Kitchen Tool Only $3.42! Ships FREE! Look at all the cute gadgets at this site! 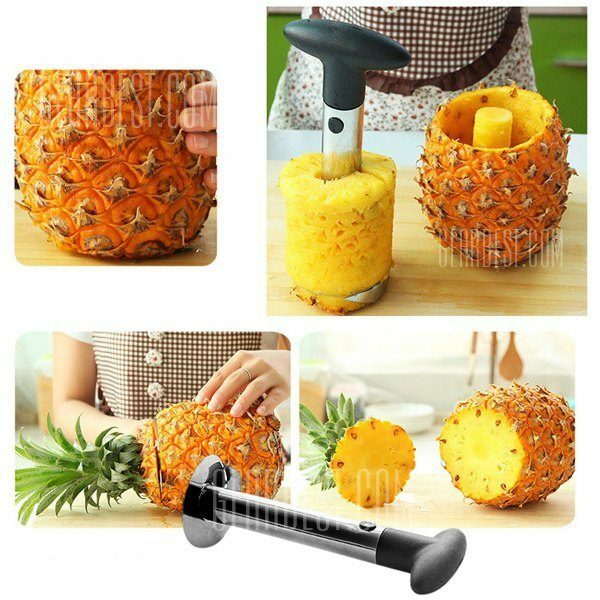 Regularly $7.02 this pineapple corer/peeler is on sale for $3.89, but you can get it for even less! Get the Stainless Pineapple Slicer Peeler Kitchen Tool for only $3.42 when you use promo code GBHOME12 at checkout! Plus it ships FREE!